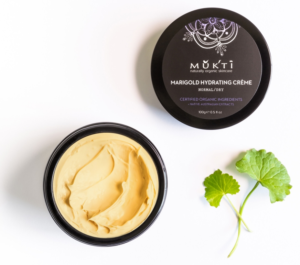 MUKTI Organic “Marigold Hydrating Crème” is an extra-rich, lubricating & repairing moisturiser suitable for all dry skin conditions. It can moisten, hydrate & soften skin that has been affected by the elements plus promote elasticity & suppleness with long lasting protection. 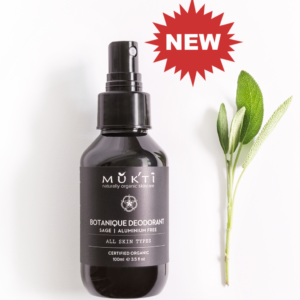 MUKTI Organic “Marigold Hydrating Crème” is an extra-rich, lubricating & repairing moisturiser suitable for all dry skin conditions. 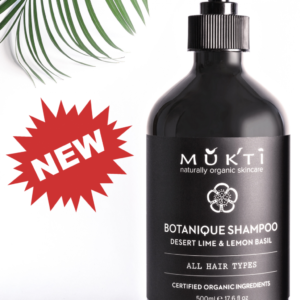 It can moisten, hydrate & soften skin that has been affected by the elements plus promote elasticity & suppleness with long lasting protection. DIRECTIONS: Apply to damp skin using water or the Rose Blossom Mist Toner. Place a small dab in each of the key areas and gently press onto face, neck and décolletage in an upward motion. Also use for dry, chapped skin on hands and body. Use spatula to dispense product. Store below 30°C. Patch test first. If any adverse reaction develops, stop use immediately and contact your physician.